If Donald Trump sounds like he's in a hurry to start renegotiating NAFTA, it's because he is. He says so. The president's team even admits a major reason for the urgency, which can be summed up in four words and they're not Canadian dairy, energy, or lumber. They are: Andres Manuel Lopez Obrador. In one year, Mexico will be deep into campaign mode. And the current poll leader is a fiery left-wing nationalist whose party website has listed, as its very top item, the story of how he filed a human-rights complaint last month against Trump. This creates some pressure for Trump to get a deal soon or sleepwalk into a minefield of inhospitable options: negotiating in the dying days of the Mexican election, waiting to deal with the next president, possibly Lopez Obrador, or break his promise to revisit NAFTA. 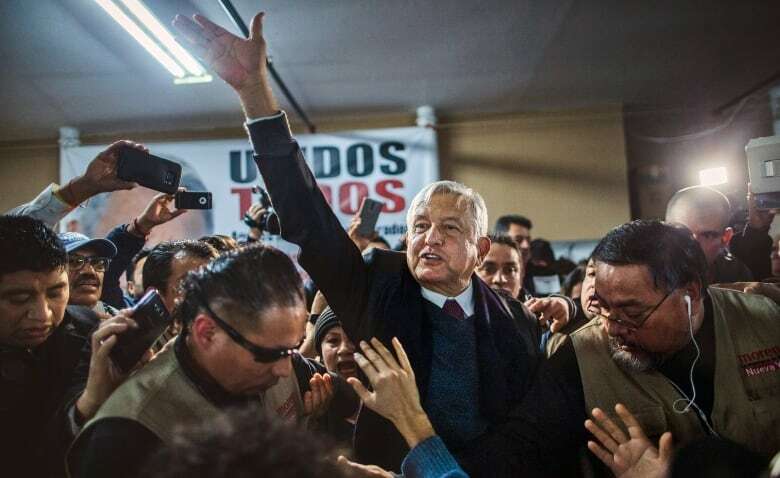 The longtime Mexican politician and three-time presidential candidate, nicknamed AMLO, was in Washington last month to announce his complaint with the Inter-American Commission on Human Rights about Trump's treatment of migrants, and his plans for a border wall. He called it embarrassing to see the current Mexican government prostrate before Trump. "We do not want a relationship of subordination. We will not accept it. Mexico is a free, independent country — not a colony, nor a protectorate," he told a Washington news conference. "Never will we subordinate ourselves to any foreign government." Trump's team has made it abundantly clear they would rather deal with NAFTA before that candidate starts delivering that message, every day, to cheering crowds, on the campaign stump. The election is next July. After that, there are new time challenges, in the form of U.S. midterm elections, coupled with the five-month lame-duck period in Mexico before the new government takes office in December. Both Trump and his point man on NAFTA have begun pleading with U.S. lawmakers to move quickly. Congress has yet to confirm a trade czar; it's also haggling over details of the legal notice required 90 days before trade negotiations start. 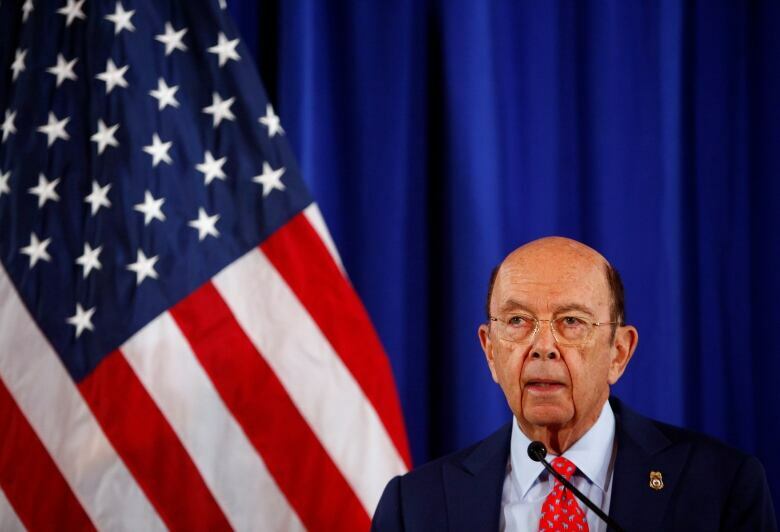 Commerce Secretary Wilbur Ross said he's had a half-dozen meetings with the relevant congressional committees. He wants them moving faster, as does the president, and Ross has made clear why: Mexico. "I am anxious to get it started. Especially with Mexico. Because Mexico has presidential elections coming up next year," Ross told a Bloomberg interview several weeks ago. "The closer we get to those elections the more difficult it will be for any government to make a deal. I hope we can get going very soon. And I can absolutely assure parties involved that the United States will not be a source of delay." Clearly, the current Mexican government understands that reality. Nearing the end of its six-year single term, the government has appointed economy minister Ildefonso Guajardo as its lead trade negotiator. His estimate of the time window to get this done: probably eight months. 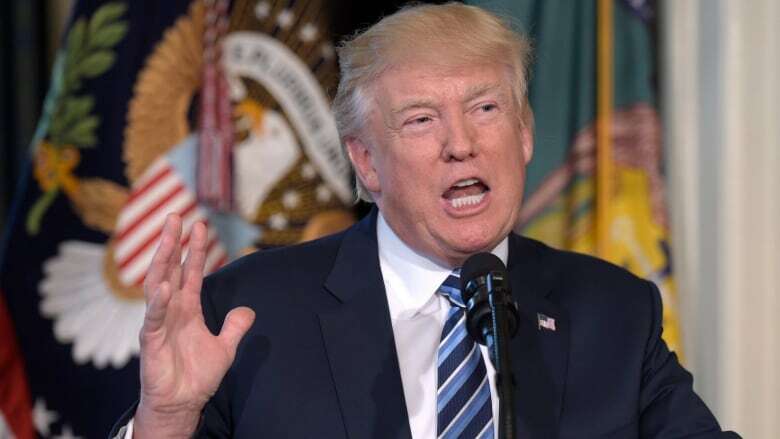 His math works this way: U.S. Congress approves the 90-day notice this month, talks can then start as early as late July, and then, by April at the absolute latest, negotiations conclude with a new North American Free Trade Agreement. "A responsible time horizon would be for us to present a package for approval no later than the first quarter of 2018," Guajardo said recently. "There will be midterm elections in the U.S., for Congress, and a presidential election in Mexico. The worst thing we can do to markets is pile uncertainty atop uncertainty." That ticking clock is being heard in Ottawa. Some in government speculate this might be the real reason for the sudden hardening of Trump's language: all of a sudden, he's recycling his old campaign threat to scrap NAFTA entirely, and he's bashing Canada, which just a few weeks ago he sounded pretty happy with. One Canadian official says it's a negotiation tactic. Trump isn't suddenly angry at Canada, says the official — he's suddenly in a hurry. He says Trump wants to make Canadians nervous too, and feel pressure to make a deal. But he describes the Canadian attitude thusly: "We have time. And we don't freak out." Canada's finance minister would have had ample opportunity Friday night to discuss this timetable — Bill Morneau was to attend a Toronto Maple Leafs game in Washington with his Mexican counterpart. Earlier Friday, Morneau said he had never discussed, with anyone, the Mexican calendar with respect to NAFTA, because that kind of political strategizing isn't his job. But he acknowledged it might be someone else's. "That's a good question," he said, when asked Friday about the impending Mexican election. "I suspect there are people in the trade area thinking about what the electoral cycles are and what the timing of those discussions are, optimally, from our perspective." As for whether Canada should be recalibrating its strategy, based on the toughening language from Trump, he replied: "Not at all."